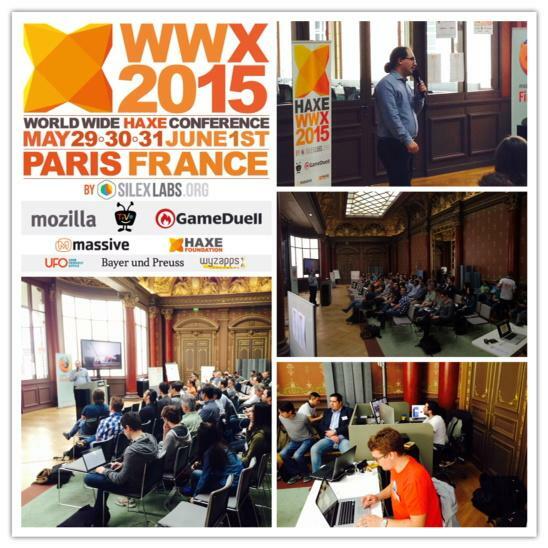 If you didn’t already know about this, Silex Labs organized the World Wide Haxe Conference 2015 aka WWX2015, the international conference on Haxe the free cross-platform language from the 29th May to the 1st of June 2015. 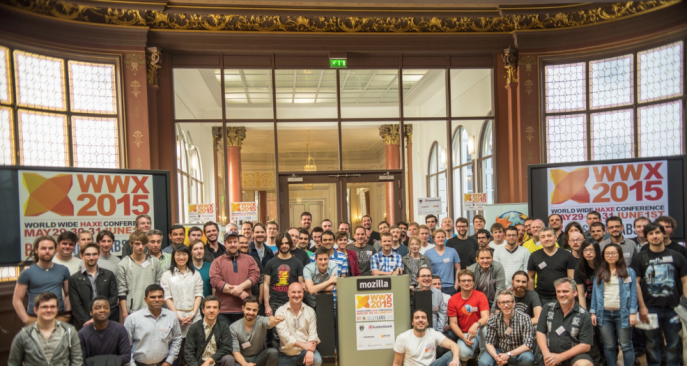 We’d like to thanks once again Mozilla Paris for hosting us so well in his magnificent building, symbol of the free software development! 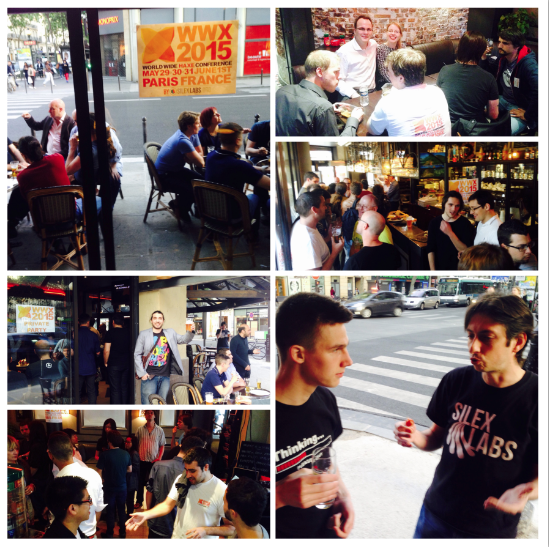 The WWX2015 brought together about 100 participants from 17 countries for 4 days of conferences and workshops and the famous Silex Labs festive evenings. More than 1500 people followed the live stream of the conference on air.mozilla.org and on the official website wwx.silexlabs.org. All of these people didn’t just sit there and watch, they also shout to the world their love for Haxe, with nearly 1800 tweets between Saturday and Sunday and a lot of photos. A true great community! Aside from the official talks and workshops, it was a great opportunity to create interactions between the members of the community by visiting paris, partying in a french bistro and having a croissant with your coffee every morning. As Mozilla Paris let us use their video equipment, the live stream was a much better quality, compare to the previous year. But if you were unable to see it live, the videos will be posted soon on Silex Labs YouTube channel! 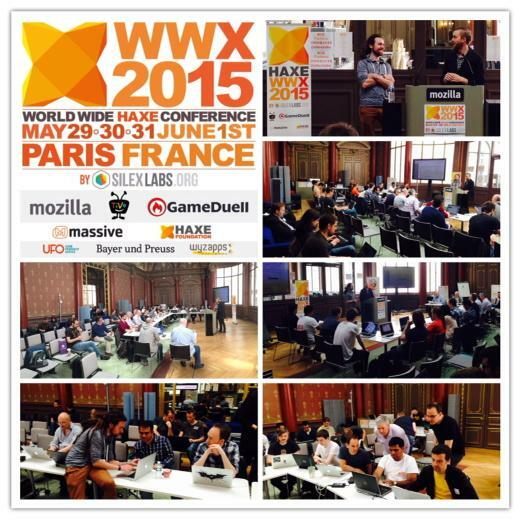 Here are the videos of the WWX2015, watch it share it like it and spread the word! You need great moments to have great pictures, and this week-end was awesome, so are the photos! Check out our Flickr album and if you still have some pictures left on your phone that you’d like to share, send them to us! Silex Labs is in charge of organizing this conference for the third consecutive year, with an average of one hundred attendees from all around the world: developers, designers, project managers, integrators, business leaders and students from schools and web media with which Silex Labs is in partnership. 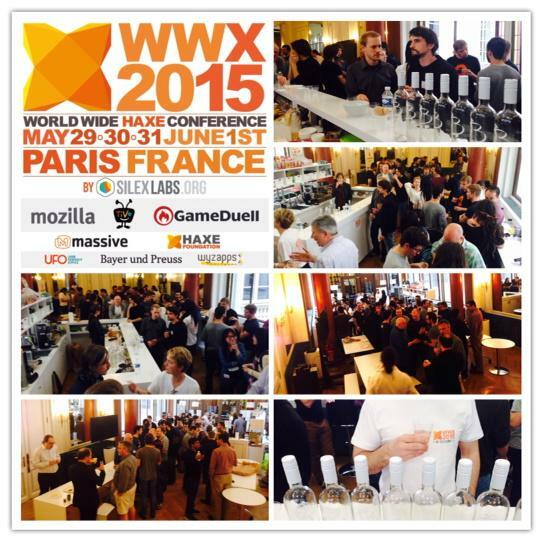 Do you like Haxe, the WWX and the world of open source? Your help is always welcome! Regarding the success of the crowd funding campaign we are going to do it again in order to fund this haxeptionnal event. We are open to your suggestions to enable us to continue to organize this event, which seems so important to the Haxe community. Next year, we’d like to include all of the good wills sooner so they’ll have a chance to bring new ideas from the beginning. It would looks like oscars’ speech but we have thousands thanks to do to all the people who took time helping us for the organisation of the WWX2015. To organize this conference, Silex Labs has united its most motivated Haxe members to form a working group: the “THaxe Force”! 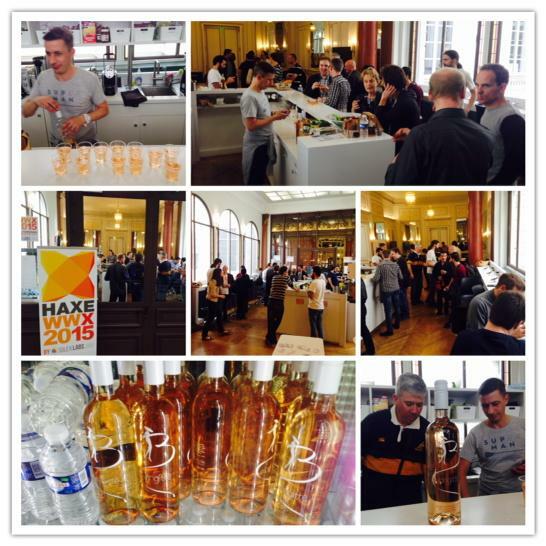 Among it we find the President of Silex Labs, Alex Hoyau, co-founder Pol Goasdoué and a whole lot of Haxe developers like Clément Charmet, Jean-Baptiste Richardet, Thomas Fétiveau and Ariel Sommeria Klein. These volunteers have donated their time to prepare for this conference since October 2014. 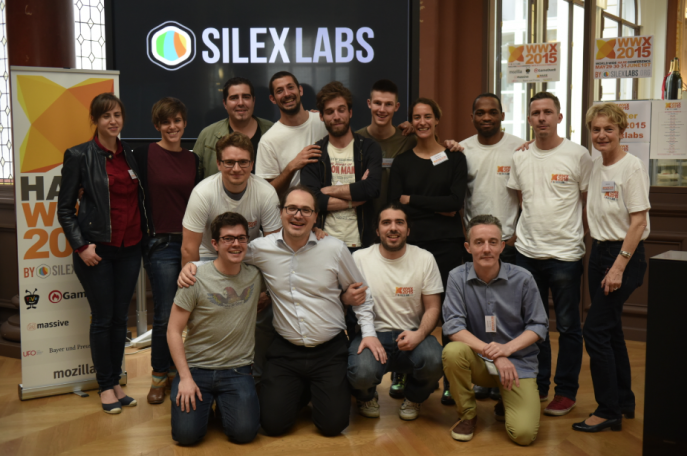 Antonin Stephany, project manager at Silex Labs, hosted the working group to ensure that this swarm of ideas was put to good use. Our thanks goes out to the speakers and all the participants for their motivation and collaboration too! Of course we’d like to thanks Nicolas Silva our Mozilla’s sponsor who have been of great help all along the weekend. Special thanks for the communication and visual design to Pol Goasdoué, Nicolas Masson and Emmanuel Waras. and Scengrafics for their saturday night animations. Special thanks also to people who couldn’t be there but who are very important for the conference: Yannick Dominguez, Mariannick Cassan and Raphaël Harmel. Bayer und Preuss, UFO and Wyzapps.